Round orange fruit, consumed mainly in winter. Its flesh is also orange and is formed by small bags full of juice. The orange is used for consumption in fresh and for the industry, mainly in juice. Fresh oranges are low in calories and a source of fiber, potassium, vitamin C and folate. They help to prevent cancer and cardiovascular diseases. It is a round orange fruit, consumed mainly in winter. Its flesh is also orange and is formed by small bags full of juice. The orange is used for consumption in fresh and for the industry, mainly in juice. The orange, along with the banana and the apple, is one of the most consumed fruits in the world. The orange is a usually round or oval citrus; its rind and flesh are generally orange, except the varieties of red pulp. The edible part of the orange is the flesh, consumed in fresh or in juice. The orange is also used to make stewed fruit, jams, for consumption as dehydrated fruit, etc. From oranges we can also take the essential oils, used in perfums and cosmetics. The consumption of oranges in developing countries has increased quicker than in the rich countries. The North American market represents almost half of the consumption of the developed countries, due in a large extent to juice consumption. In countries like Japan, with their own production, the consumption is in fresh, so they do not need to import oranges. The average world consumption is 12 kg per person and year, although this figure varies depending on the countries. The developed countries have an average of 28 kg/person and year, whereas in the developing countries the consumption is 6kg/person and year. The highest consumption figures are in the United States, reaching 60 kg, whereas in Western Europe it is 40 kg. These figures contrast with the consumption in the East European Countries, 5 kg per person. 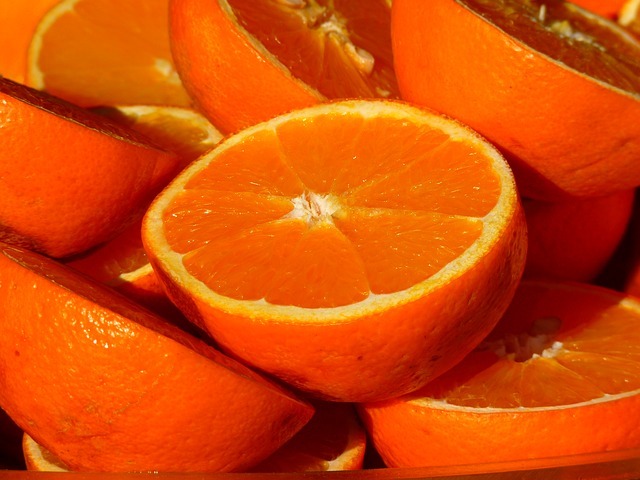 The orange consumption in the Northern Hemisphere is centered mainly in winter, although we can also buy it off-season thanks to producing countries such as Argentina, Brazil, the United States, Spain, etc. As explained in the Fresh Produce Desk Book of 2001, the availability of oranges in the English market is practically assured all over the year. From January to March in the Northern Hemisphere, the source countries are the Dominican Republic, Egypt, Israel, Turkey and Tunisia; in April and May different varieties come from Egypt and the United States. During the summer months, in the Northern Hemisphere, countries such as Brazil, Cuba, Chile, Argentina, Peru, and Zinbawe will be the source. Special atention should be given to Spain, the first orange exporting country in the world. Spain practically provides the United Kingdom throughout the year. There is a great amount of varieties distinguished by their shape, size, flesh colour: red or orange, by their flavour, since there are sweeter or more acid oranges, by the time of maturity, and for having seeds or being seedless. The time of harvesting is from the beginning of October until the middle of June, depending on the varieties. The internal and external maturation of oranges depends on different mechanisms. Sometimes a fruit is ready to be commercialized, but because of its colour it is not possible to do so. These fruits will be put under degreening, causing its colouring. Fruit will be collected when raw and treated with ethylene in special cold storage rooms. The conservation of oranges in cold storage rooms at a slightly superior temperature to the point of freezing lengthens the period of organoleptic quality of the fruit and reduces the attack of fungi. Oranges grow in small and perennial leaf trees. They are very sensible to low temperatures, they need a lot of light and water for the fruit ripening. Their flowers are white and very aromatic. The orange tree, both the sweet and the bitter, belongs to the family of the Rutaceous, Citrus genus, Citrus sinensis species. In commercial plantations, trees have a low habit and have a single trunk with three main ramifications from 50 to 80cm high. Leaves have a great blade, small wings and not very marked thorns. In the Northern Hemisphere, and coinciding with the increase of the temperatures, flowering and sprout begins in March. These flowers are also called " azahar" and widely known for their pleasant smell. They are single or grouped, with or without leaves. The buds with leaves bear the best fruits. The fruit of the orange tree is a berry called hesperidium, formed due to the growth of the flower ovary. Inside it, the fruit is divided in approximately ten small joined holes; inside them there grow seeds and juice bags. The fruit is divided in three areas, the most external is the exocarp or flavedo, formed by an epidermis displaying small vesicles that contain essential oils, used in colognes, perfumes, etc. The following layer is the mesocarp or albedo , with a spongy appearance and white colour. Finally, we find the endocarp or flesh, where the juice bags and seeds are placed. The juice bags or vesicles are extended structures that raise in the endocarp and grow towards the interior of the fruit until they fill it all up. These vesicles contain organic acids and sugar, that along with water make the juice. The exocarp cells contain chloroplasts ; this is the reason why raw fruits are green. During maturation, there is a loss of chlorophyll in favour of other coloured pigments, mainly the carotenoids that are responsible of the fruit’s orange colour. They increase their number when maturation takes place. The orange is a subtropical species; thus, it does not bear frosts, and when these take place both flowers and fruit are damaged, like vegetation. The plant dies under temperatures below 3-5ºC below cero. This tree requires great amounts of water and when raining is not enough, irrigation becomes necessary. It needs light for the processes of flowering and fruition, that take place mainly in the outer part of the top and skirts of the tree. It is very sensitive to wind and salinity, with preference on sandy or franc-sandy, deep grounds and without limestone. - Citrange Carrizo and Troyer: the Citrange Troyer is vigorous, productive and tolerant to tristeza, a disease spoken about in the section of postharvest problems. Later on, the Citrange was introduced; this was more productive and resistant to limestone and diseases. - Mandarino Cleopatra: only used in areas with high lime contents or problems of salinity. These plantations show a regular and unforseeable behaviour and in some cases trees have shown a defective development during the first years. - Swingle citrumelo CPB 4475: good vigour and productivity, fast yielding, excellent quality fruit with a slightly late maturation. In spite of these good qualities, it is very sensible to limestone grounds. - Bitter Orange tree: a standard with good agronomic properties, cold-resistant, but very sensitive to tristeza. That is why it was prohibited since 1972, except for its use in lemon tree. 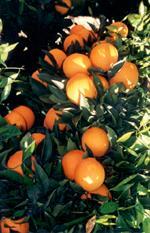 - Citrus volkameriana: very extended in the last years for its vigour and good productivity.